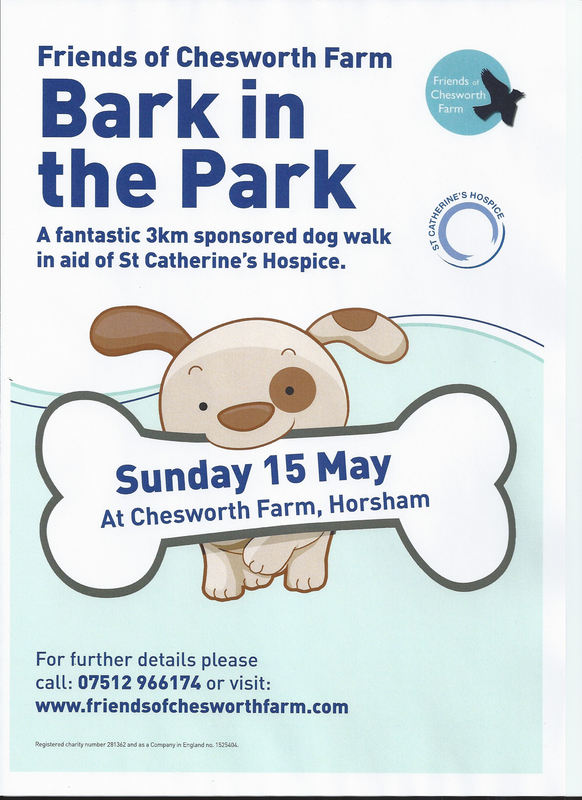 Five days to Bark in the Park Horsham 10-12 Sunday 15 May. We have two dog walking routes – 3km circular route spans the width of Chesworth farm from Queensway to Kerves Lane with pretty fields in between. The shorter 1.5km one takes in the highlights and is accessible to mobility scooters, wheelchairs and buggies. Plus we have a Chesworth I-spy sheet to amuse the children and refreshments and more in the Volunteer Centre in aid of local St Catherine’s Hospice. See you there! £8 in advance, £10 on the day for your dog’s entry. See our Bark in the Park page for entry details.